It's a cool, cloudy day here in Anthem, Arizona, which makes me happy. We have an average of 296 days of sunshine per year. It's awesome for a person like me who used to have awful winter blues when I lived in Illinois, but then you find yourself getting very excited when you finally have a cloudy day. And none of us can stop talking about it when it actually rains!! I feel like my life is in such a rut. Last night, after a long week of work, I actually found myself smiling because I knew that I got to sleep in this morning. That's what excites me on a Friday night, the thought that I get to sleep in the next morning. I need something to get excited about. But right now life feels like it's about work, and elderly dog who has less control over her bladder than my mother, and chores. But I downloaded an app called Happify this morning, and it is pretty cool. It definitely lifted my spirits a bit. I played a game where I had to pop balloons that had positive words on them and avoid the negative words. It sounds cheesy, but it was kind of cool (nerd alert). I think the book you are reading can have such an impact on your mood, so I should be reading something fun and light today. 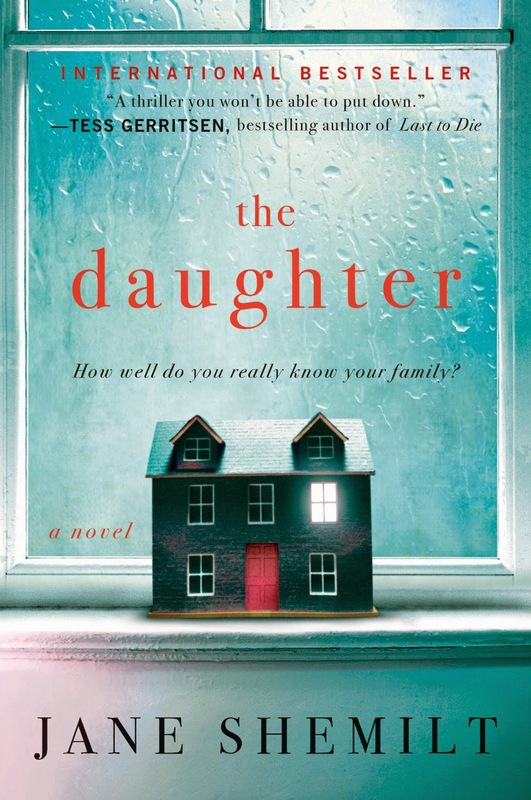 In fact, I wanted to start Book of Life today, but I'm caught up in The Daughter by Jane Shemilt. It's got me hooked! compelling and clever psychological thriller spins the harrowing tale of a mother’s obsessive search for her missing daughter. It's a page turner so far. I don't know why I read these books. As a mother of three girls, I worry anyway. But I can't resist them!